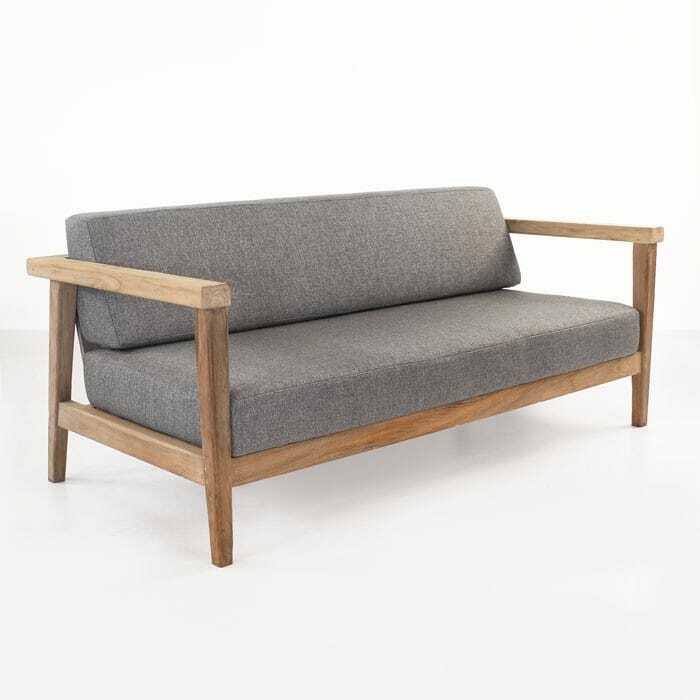 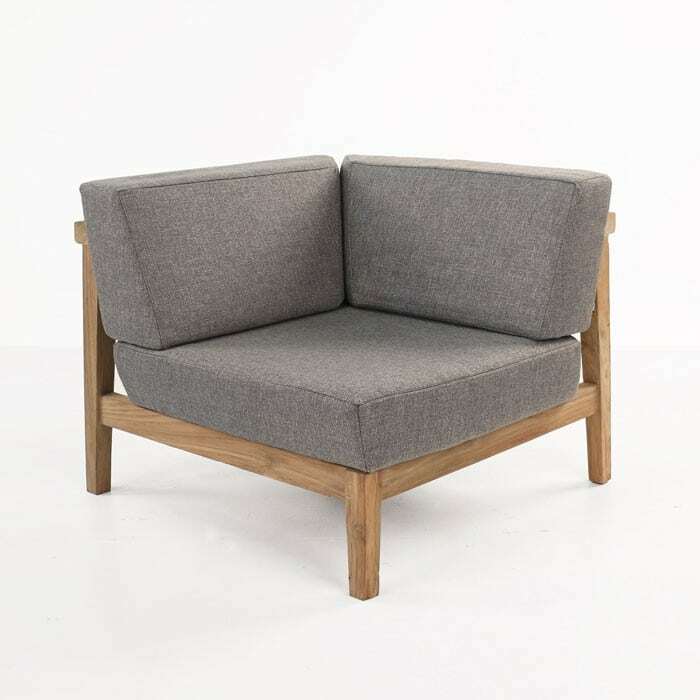 This piece from the Gommaire deep seating collection called Copenhague, is definitively more mid-century modern than the other pieces. 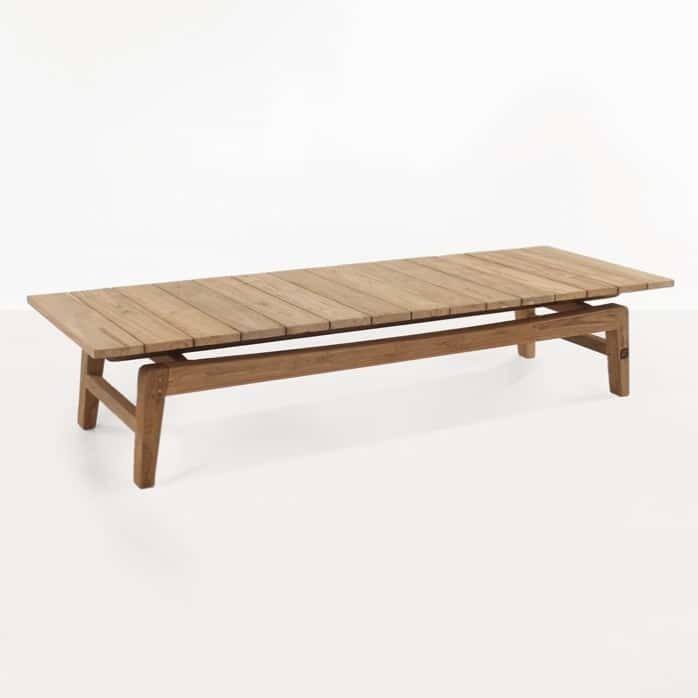 The pleasant styling and attention to detail make this a standout coffee table, capable of stunning in any furniture arrangement, even where other styles are present. 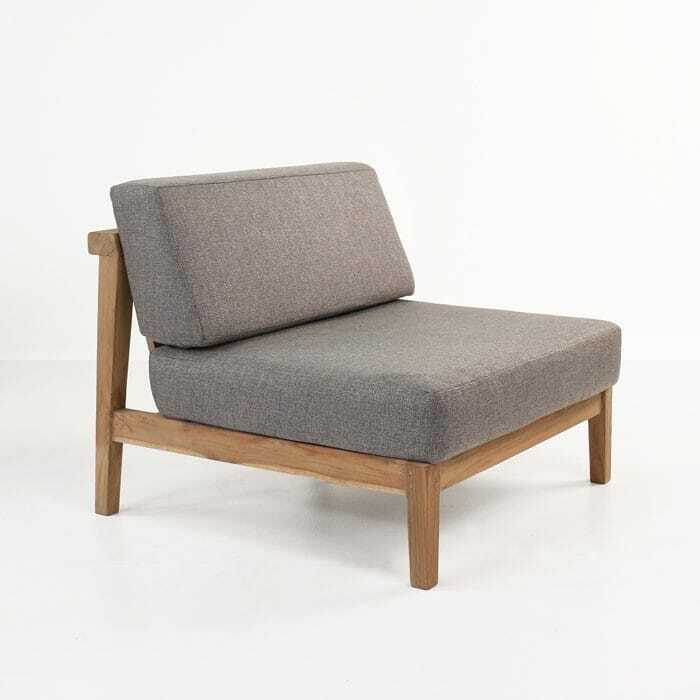 It is sophisticated and refined, with a gorgeous flat tabletop and a well-designed, restrained modern leg architecture. 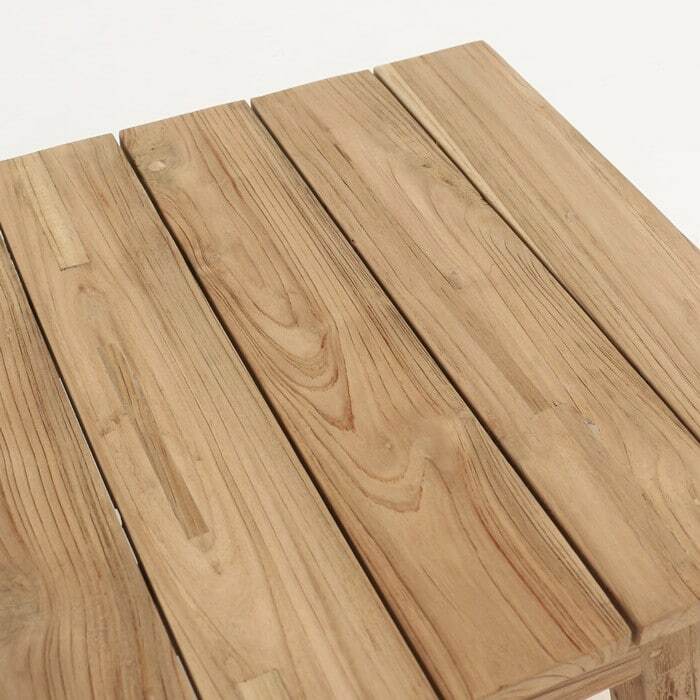 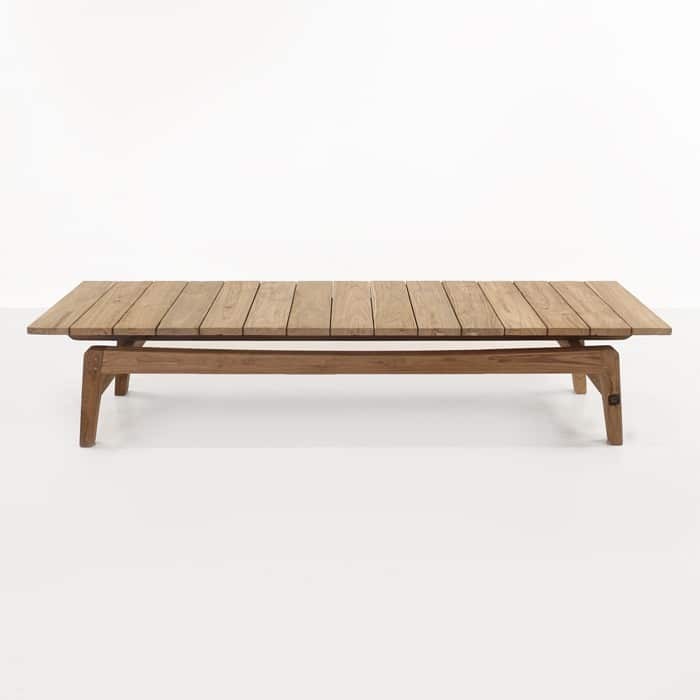 This coffee table is made from gorgeous reclaimed teak.